These trading figures have different numbering than those part of the main set. 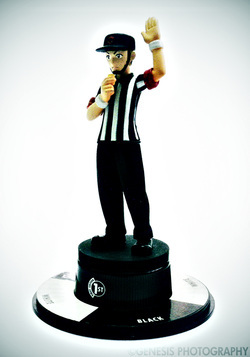 There are 9 figures in total for the three known sets. 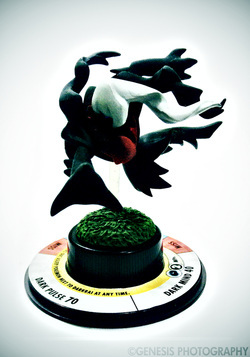 These figures are used to promote the game in special packs such as the 2-pack starter set containing the Judge and packs containing one of the three Sinnoh starters. Palkia and Dialga were supposed to be released as promotional trading figures for the Groundbreakers set but were unfortunately cancelled. The three last promotional figures were supposed to be released along with the third set but were also cancelled. Notes : The Judge is an exclusive figure from 2-pack starter set containing Flamethrower and Riptide from the Next Quest series. It was acquired through an auction in eBay. 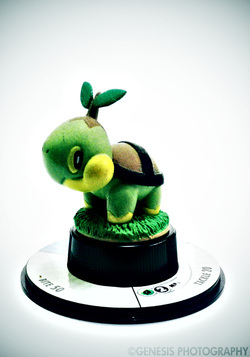 Notes : Turtwig is one of the promotional figures for the Next Quest series. The sculpt of the figure is the same as the one from the pre-order bonus figure for Pokemon Diamond and Pearl. This figure was obtained from a trade with waynegg of PokeGym. 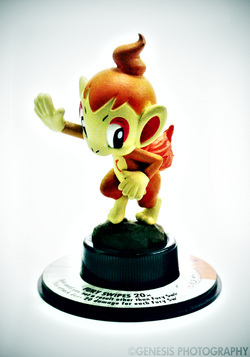 Notes : Chimchar is one of the promotional figures for the Next Quest series. The sculpt of the figure is the same as the one from the pre-order bonus figure for Pokemon Diamond and Pearl. This figure was obtained from a trade with waynegg of PokeGym. 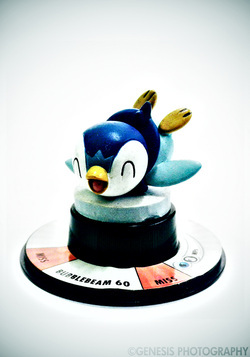 Notes : Piplup is one of the promotional figures for the Next Quest series. 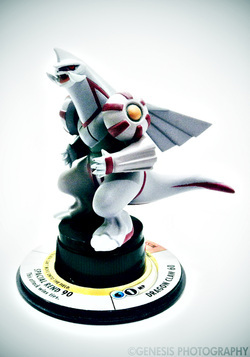 The sculpt of the figure is the same as the one from the pre-order bonus figure for Pokemon Diamond and Pearl. This figure was obtained from a trade with waynegg of PokeGym. Notes : It's really hard to believe that I was able to get Promo Palkia TFG. I just woke up and I was checking my emails and then I saw in eBay a Palkia TFG. At first I couldn't believe it but upon closer look it's the real deal. Although I was quite disappointed that there are 16 more of where it came from but still I'm proud to have it in my collection. 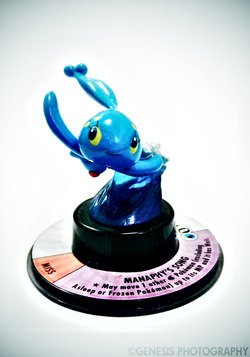 Notes : Manaphy was supposed to be one of the promotional figures for the unreleased set like the Sinnoh starters, Dialga and Palkia before it. It was bought from one of the stores that sells TFGs. Notes : Darkrai was supposed to be one of the promotional figures for the unreleased set like the Sinnoh starters, Dialga and Palkia before it. It was bought from one of the stores that sells TFGs. 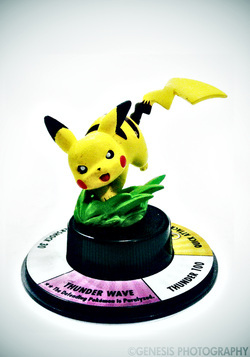 Notes : Another Pikachu was supposed to be one of the promotional figures for the unreleased set like the Sinnoh starters, Dialga and Palkia before it. It was the figure that actually made me doubt the authenticity of the set because it didn't look as great as the other figures for me.